ORLEANS – A brush fire threatened to spread to some homes in Orleans Sunday afternoon. 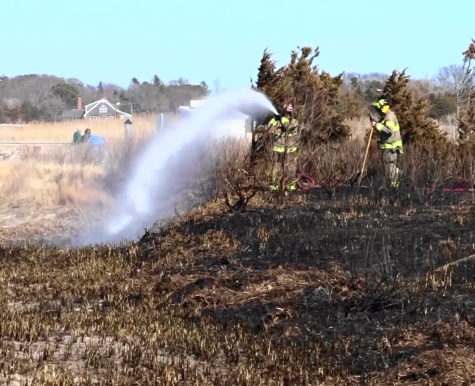 The fire erupted in the beach grass off Anchor Drive shortly before 2 PM. Firefighters called for extra engines and brush trucks as they worked quickly to protect the structures. Mutual aid from Eastham, Brewster, Harwich and Chatham assisted at the scene. No injuries were reported. By 2:40 PM officials reported the fire was under control. About 2 acres was scorched. The cause of the fire is under investigation.